I was the manager at the Aurora Cooperative Murphy location in central Nebraska. I was told from the old timers in the area that were around when the elevator was built in the late-’50s [that an] accident happened there, shutting down construction for about a week. The Aurora Coop’s Murphy elevator and annex. Jim Russell died in a fall during construction. Murphy is no more than an elevator along the railroad now. It is six miles west of Aurora, Neb., or fifteen miles east of Grand Island, Neb. Thank you for a wonderful site. One of my first bosses was a man by the name of Willis “Bill” Maahs. He was a superintendent for Tillotson into the early ’60s when he stayed in Aurora and became operations supervisor for Aurora Co-op. He helped build the Murphy elevator and the Aurora elevators. 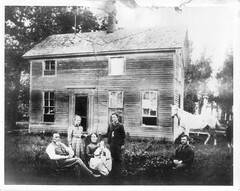 There are two Tillotson houses in town, as well as the feed mill in Aurora. I have always been intrigued with the workings of the old concrete houses versus the new bigger faster ones, although I know how farming and the grain business view them. 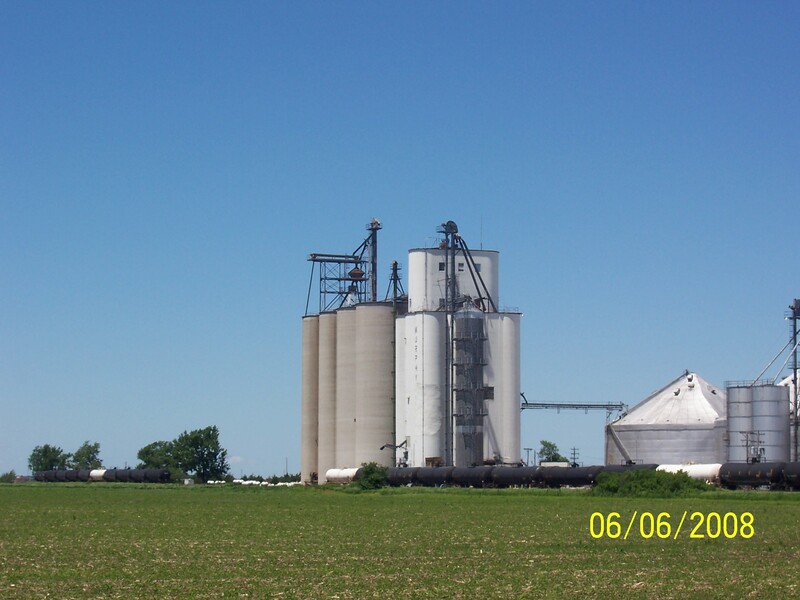 Concrete grain elevators are very highly regarded in the industry as the most permanent. My reference is to the older, smaller, multi-bin elevators of 20,000- to 25,000-bushel bins versus the newer 250,000- to 300,000-bushel bins being built. The industry has come along way in the last fifty years: the ability to jack the forms with hydraulics, the diameter of the bins, the height and capacity of legs. Putting all the equipment outside of the structures rather than enclosing everything in the house, which has saved many elevators from the disaster of explosions, et cetera. Farmers are into a newer generation also, thirty-five years and younger. They want fast unload and large unloading pits. The ag industry as a whole had seen large improvements in the size and capacity of equipment, making some of the smaller, older elevators almost impossible to use. I find the older ones more interesting because they were what started a new generation from wood houses to concrete. Building work floors and platforms from concrete rather than steel and expanded metal. All is my own opinion as to why I enjoy the first generation of concrete grain elevators in the ag industry. Mayer-Osborn Construction lost their bid to build this annex. Our blog contributor Gary Rich was the first to visit Wauneta, Neb. in the hunt for elevators built by Mayer-Osborn Company and J. H. Tillotson, Contractor. He discovered that the Frenchman Valley Co-op had retained original documentation including blueprints for the original elevator, and the two annexes, which all still operate today. The various documents painted a confusing picture. Gary told me enough that I knew I needed to get down there and see for myself, which I finally did in October of 2012. The builder of the original elevator was unclear, but presumably J. H. Tillotson had built it, based its appearance. Mayer-Osborn soon returned with a proposal for the first annex, and a close reading of those documents seemed to indicate that the first elevator was completed by the same people, which at that time worked for the J. H. Tillotson, Contractor operation. But nothing definitive was found to that effect–even the manhole covers of the main house were blank after a renovation. The most interesting discovery was a set of blueprints and drawings completed by Mayer-Osborn for their annex that was never built. Their proposal was submitted twice, once in 1950 and once a few years later, but the town finally decided on a different contractor after some delay. For some reason, the co-op retained all of the paperwork at the site. 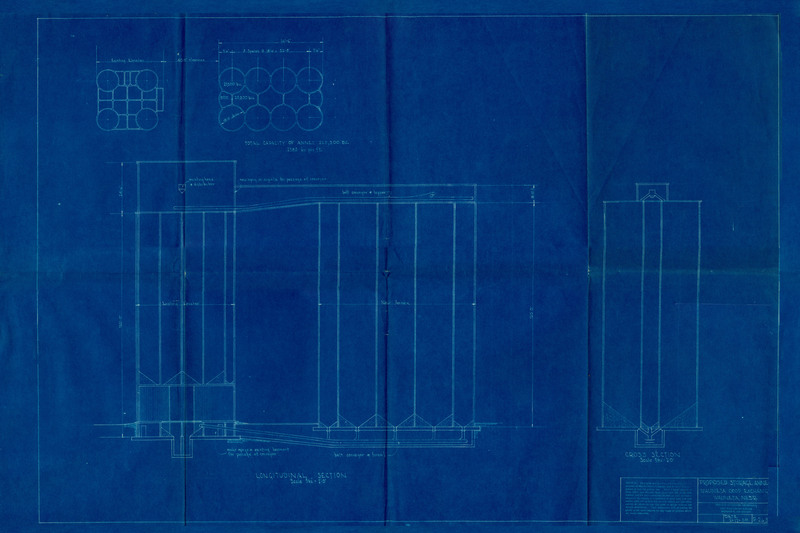 This blueprint, dated Feb. 17, 1950, was the first of these designs.